Indeemo Help: setup screen recording on iPhone — Indeemo: Mobile Ethnography App, Mobile Diary Study Tool and Remote Ethnographic Research Platform. Due to security restrictions on iOS, it is not possible for Indeemo (or any other app) to do a screen recording of how you use other apps. 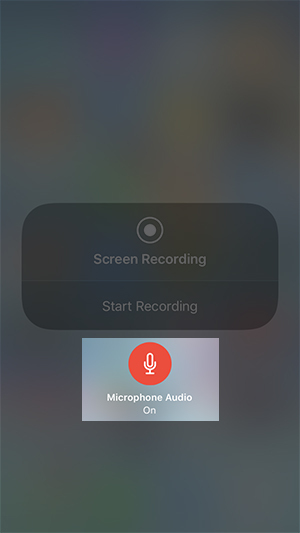 However, if your iPhone runs iOS 11 or above and you have an iPhone 6, 6S, 7, 8 or 10, it is possible to do a screen recording of how you use other apps Apple’s own screen recording feature. 5. Go back to the main screen and swipe up the screen (swipe down if you have an iPhone X). You’ll see the Screen Recording icon. Tap on it to start recording. 6. To record your voice while you record your screen, press and hold the Screen Recording button. A new window will appear where you could tap on the Microphone icon to enable it. 7. To stop screen recording tap on the red band at the top of the screen and press stop. Your screen recording will now be saved to your Camera roll as a video. 8. Then upload your screen recording using the Indeemo app. Tap on the + button and choose Video as response type. 9. Then choose the native screen recording video you just did from the phone’s camera roll. 10. Please ensure that you write a descriptive note to add additional detail to your response, then select a task. Tap on post to upload the native screen recording video. That’s it! Your screen recording will now be uploaded to Indeemo. If you have any additional questions, tap on this link to contact us.